If you’re struggling with sexual addiction or betrayal trauma, I invite you to join me in Sacramento on June 9 for A Day of Recovery & Healing. I have the privilege of co-leading this life-changing new event with my colleague Leslie Haws, LMFT, CSAT, for recovering individuals and couples. The event will be split into two tracks. 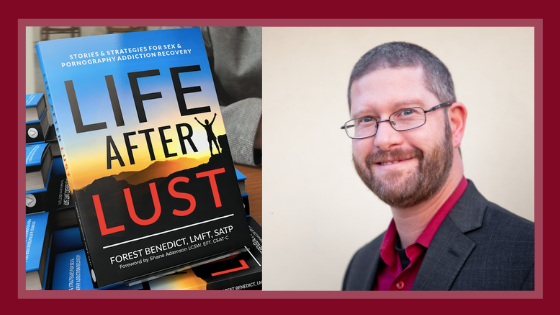 I will lead the Life After Lust Workshop, combining strategies from my book with exercises aimed at strengthening recovery and clarifying a vision for a hopeful future. Leslie Haws will concurrently present to the partners, sharing information and tools critical for healing from betrayal trauma. Supercharge your recovery in a confidential setting with 6 hours of meaningful experiences, powerful lessons, and mind-altering information. The cost of the workshop is $120/Person and $219/Couple. Workshop is June 9 from 9:00am-4:00pm (with a lunch break). Will you please help us get the word out about this important event? To reserve your spot, follow the directions on this simple Day of Recovery & Healing Registration Form. Click here for additional information. Don’t miss this exciting new event! We hope to see you there.